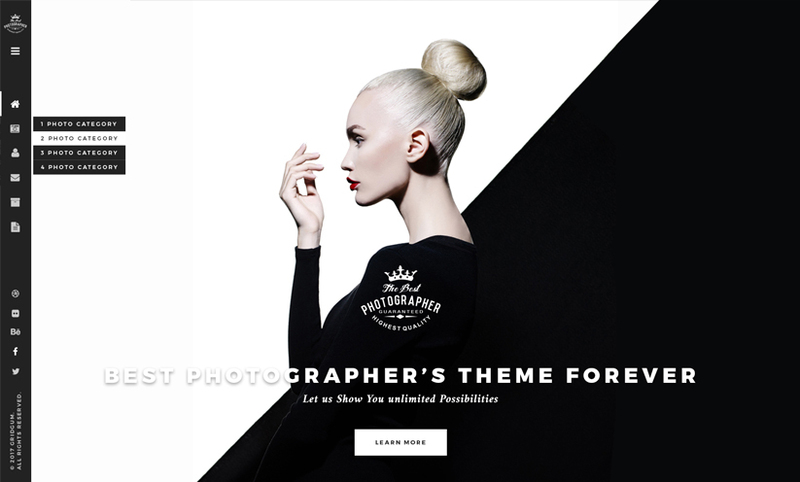 It is one of the best wordpress template for photographers on entire web. Template created in CMS / Content Management System, which means that anyone can manage full site easily by special wordpress admin page, and do not need any experience or coding knowledge. 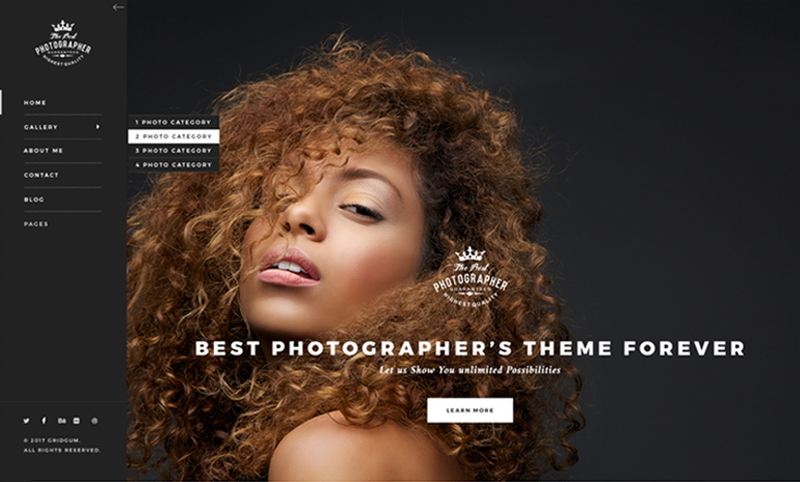 Template has Fantastic different photo galeries (2, 3, 4 comuns, Masonry 2, 3, 4 comuns with and without photo informations). Template original package includes 1 click installation package with it you can install this template within a few seconds.